We know this is summer with all of the flowers in bloom at Holly Hedge Estate. This wedding had a boho theme to it. The bride and her flower girls all wore wreaths of flowers in their hair. The bride had her hair in a long flowered braid worn to the side. 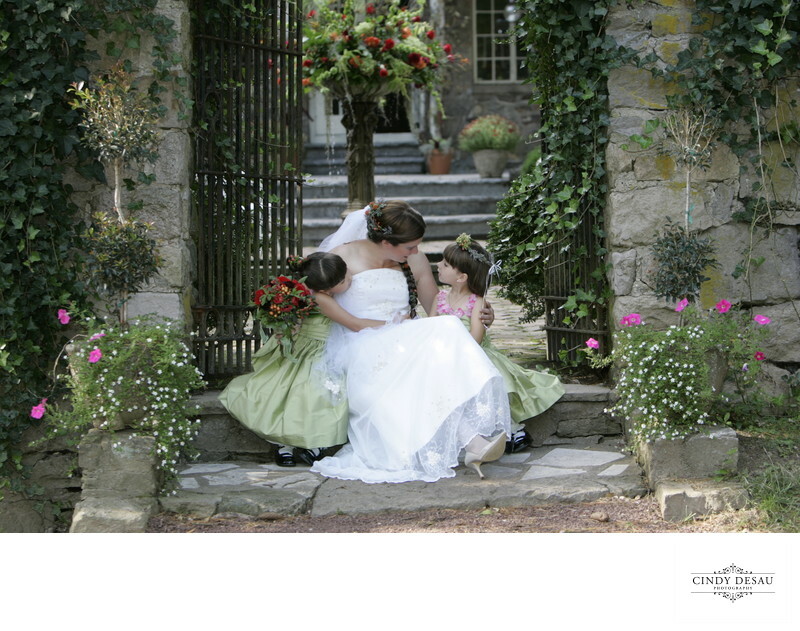 This image shows a natural moment unfolding as the three, obviously very close, share some time prior to the ceremony. I pride myself on capturing wonderful, natural and sweet moments such as this. Location: 6987 Upper York Road, New Hope, Pennsylvania 18938.